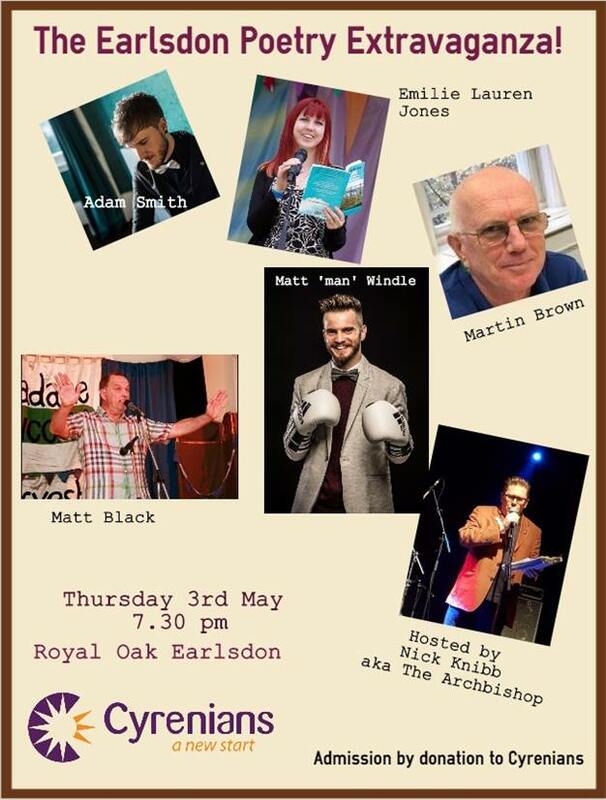 A poetry night was held on the 3rd May at the Royal Oak in Earlsdon. Hosted by Nick Knibb, all of the poets featured on the poster performed, plus a few local open mic poets. It was an entertaining evening and donations were boosted by a couple of the poets (Martin Brown and Emilie Lauren Jones) donating proceeds from selling their books to the funds. A total of £123.72 was raised for Cyrenians which is fantastic. The poetry performed was of a diverse range funny, sad, angry, thoughtful and downright absurd. Nick read a peom which he wrote specifically with the charity in mind called “It Could be You” concerning the fragile balance of life and how easy it is to find yourself looking homelessness in the face. We would like to thank everyone who performed, those who attended and donated. He hopes to put on another event later in the year, and once again Cyrenians will be the chosen charity.